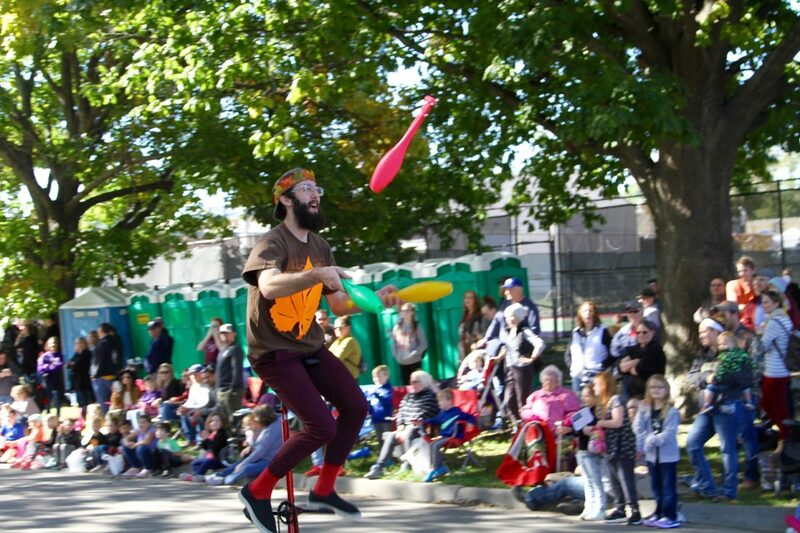 Unicyclist Jonah McCoy, of Olathe, entertains the crowd at the Maple Leaf Festival Parade on Saturday, Oct. 20, 2018, in Baldwin City. Shortly before noon Saturday, Nicky Finan, of Overland Park, took stock of the inventory available in her Maple Leaf Festival crafts booth in the 800 block of High Street of Baldwin City. But Finan, who has had a booth at the festival for eight years, did notice a difference from past years. Traffic was still good at her booth even after the parade started at 11 a.m. Often, that is a quiet time as festival visitors take in the parade before hitting the booths. 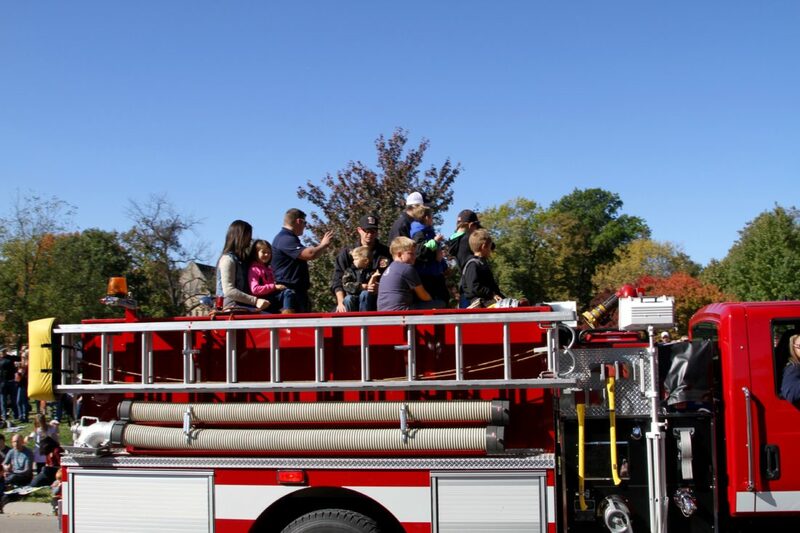 Palmyra Township volunteer firefighters and their families wave to the crowd Saturday, Oct. 20, 2018, during the Maple Leaf Festival Parade in downtown Baldwin City. 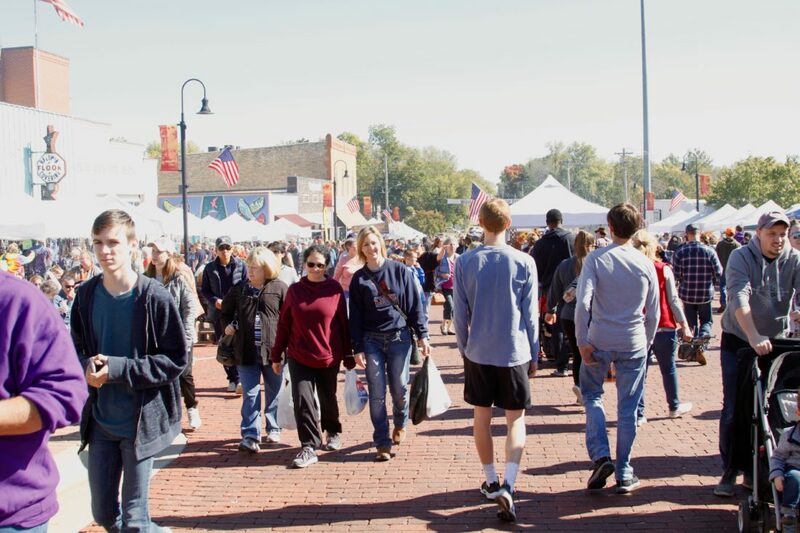 The downtown streets of Baldwin City were crowded Saturday, Oct. 20, 2018, soon after the Maple Leaf Festival Parade ended early in the afternoon. Vendors reported downtown crowds were large early and kept them busy even during the parade. Donna Curran, Maple Leaf Festival booth committee chair, said she knew the 361 vendors she signed up for the festival would be busy Saturday. The day was perfect for the festival, she said, with sunny weather and mild temperatures. 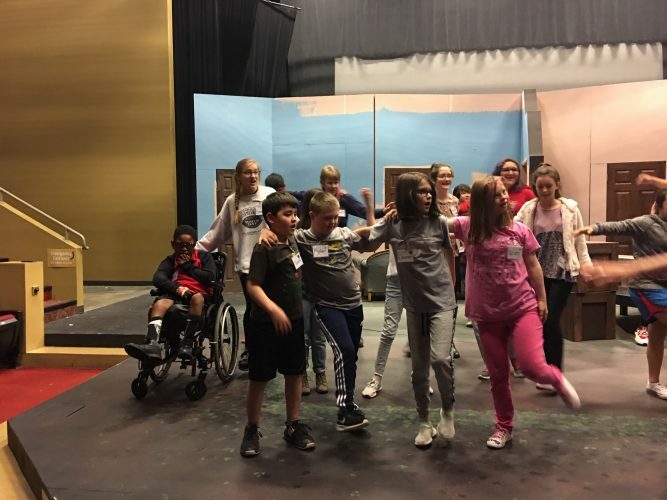 Curran and other festival organizers estimate from 30,000 to 35,000 people attend the annual festival, although they have no way to take an exact headcount. Even when the booths opened at 9 a.m., she said, there had been large crowds downtown, with people lining up to get the soups and warm breakfasts a few of the food vendors were offering. The park-and-ride lots at the two Baldwin City school campuses were also full, she said. 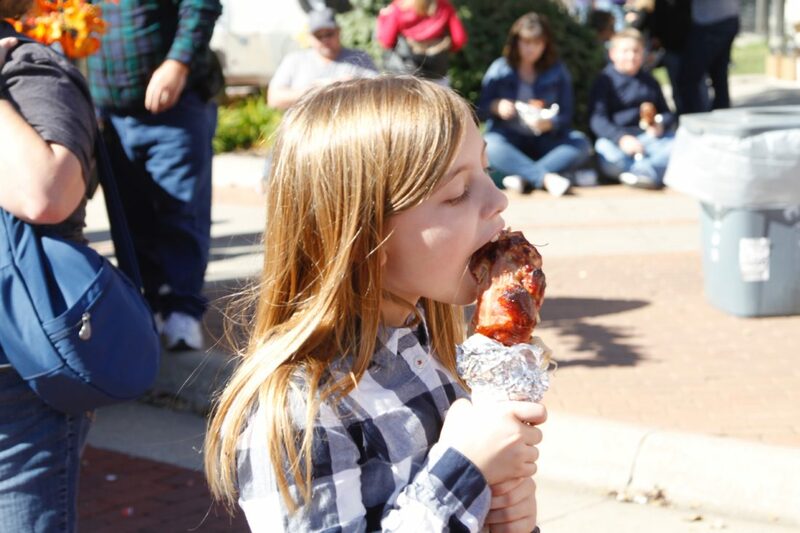 Avalyn Hampton, of St. Louis, Mo., enjoys a turkey leg Saturday, Oct. 20, 2018, at Baldwin City’s annual Maple Leaf Festival. 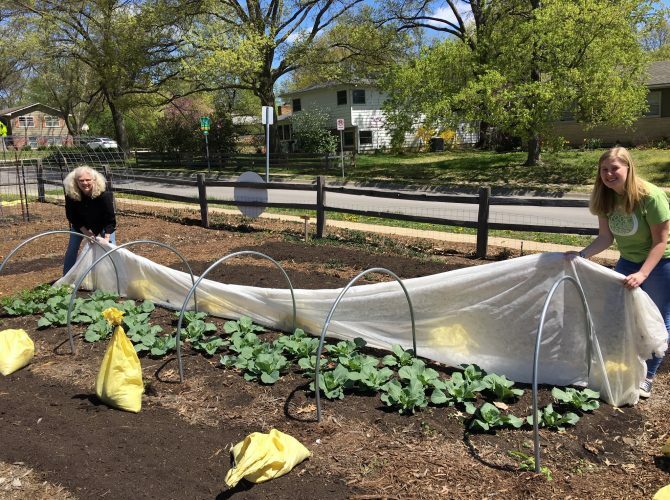 Avalyn attended traveled to Baldwin City for the festival with her father, Dustin Hampton, and his fiancee, Peyton Weekly, a 2015 graduate of Baker University in Baldwin City. 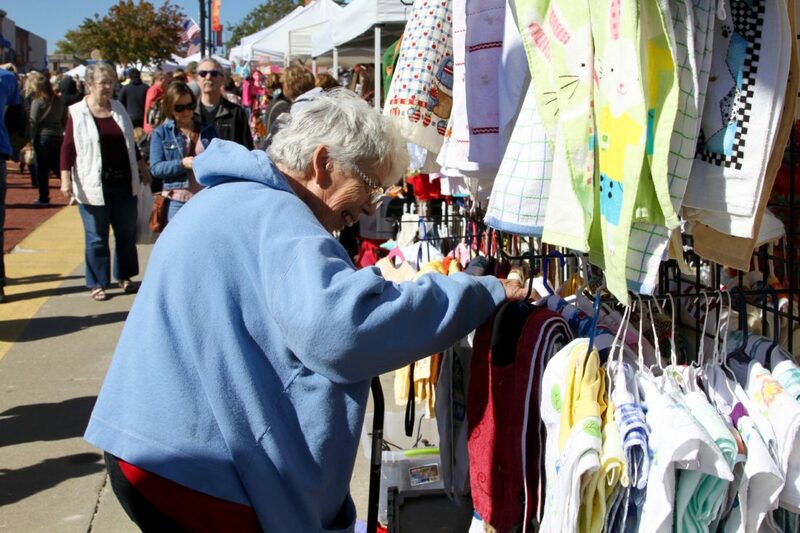 Janice Clark, of Topeka, shops for clothing for her newborn great-granddaughter Saturday, Oct. 20, 2018, at the annual Maple Leaf Festival in Baldwin City. Festival vendors were busy early Saturday as a large crowd turned out for the festival on a mild fall day. Dee Snyder, of Topeka, is now a grandmother, but she said she has been attending the festival since her teenage years, when she marched in the parade with the Osawatomie High School band. She now attended with a different agenda. 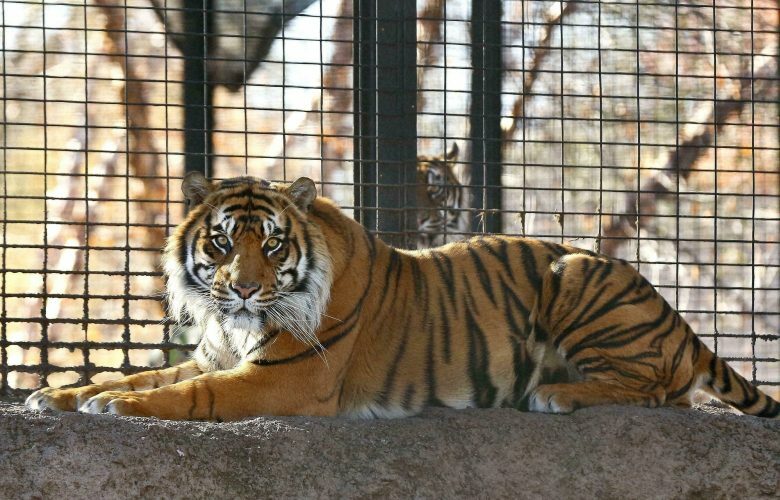 The Maple Leaf Festival will continue from 9 a.m. to 5 p.m. Sunday. 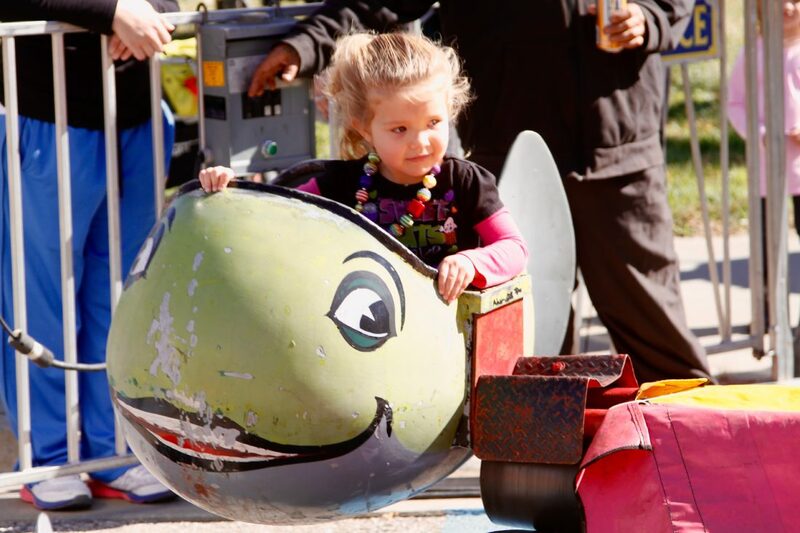 Laryn Spratt, 3, of Rantoul, enjoys a carnival ride Saturday, Oct. 20, 2018, at the Maple Leaf Festival in Baldwin City.